My family can decorate two dozen hard boiled eggs in about half an hour, so I’m always on the lookout for other fun activities to do over the break. 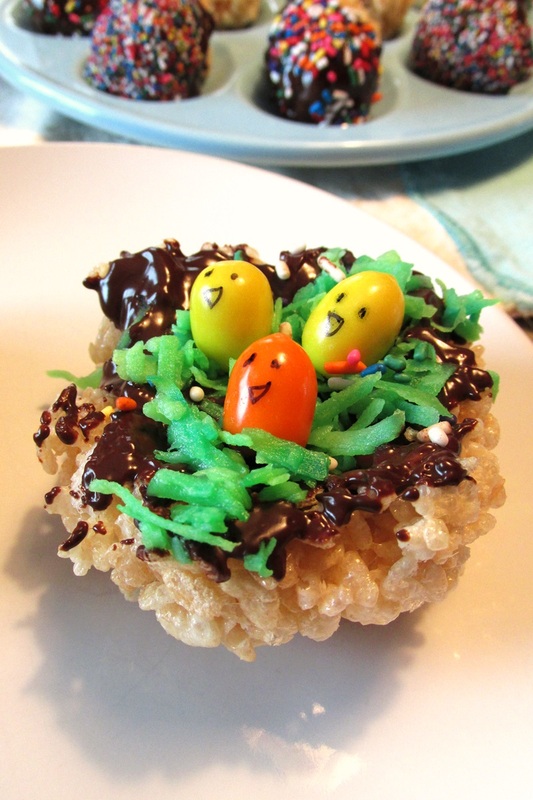 The concept for these Easter rice crispy treats was shared with Go Dairy Free by Gina Clowes years ago, and I thought they would be fun to try. Chocolate-dipped foods, while delicious, can be messy to make–and eat! So rather than dip each entire treat into the chocolate, I decided to dip half of the eggs and just brush the nest tops with chocolate. This makes the cookies easier to handle while making them and while eating them. 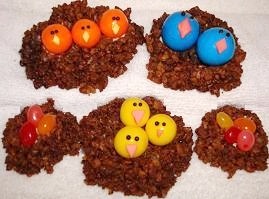 I’ve also modified Gina’s idea to include our favorite homemade recipe for making dairy-free Easter rice crispy treats. 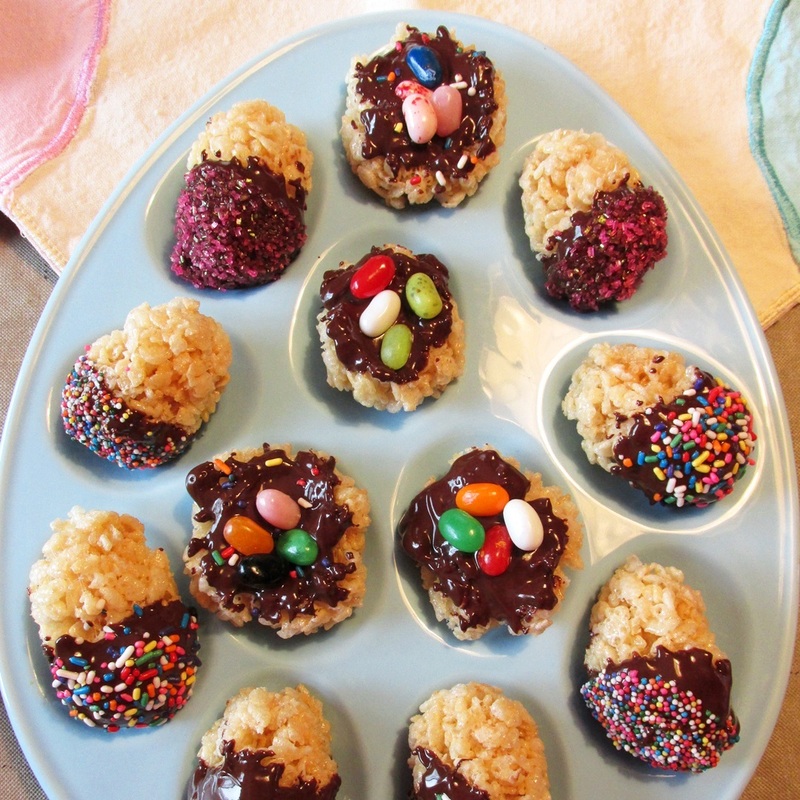 For a marshmallow-free option, you can try Alisa’s Coconut Crispy Treat Nests. We had lots of fun decorating the eggs and nests with some of our favorite candies and sprinkles. I hope you’re inspired to make some, too! 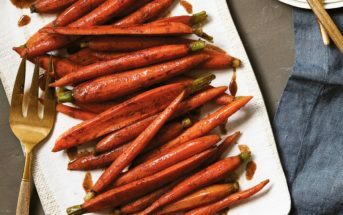 By ingredients, this recipe is dairy-free / non-dairy, egg-free, gluten-free, nut-free, peanut-free, soy-free, optionally vegan, optionally vegetarian, and optionally top food allergy-friendly. Just be sure to pick the ingredients that meet your special diet needs. Place the marshmallows and buttery spread in a large pot. 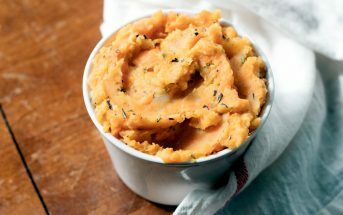 Melt over low heat until melted, stirring often. Remove from the heat and stir in the cereal until well-coated. Hand shape the cereal mixture into nests, and shape into eggs using a plastic Easter egg. The eggs that open lengthwise work best. Melt the chocolate chips and shortening together. Dip part or all of each egg into the chocolate, then into the sprinkles. Place on a waxed paper-lined cookie sheet. For the nests, either dip the entire nest into the chocolate or brush chocolate onto the top of the nest with a pasty brush. 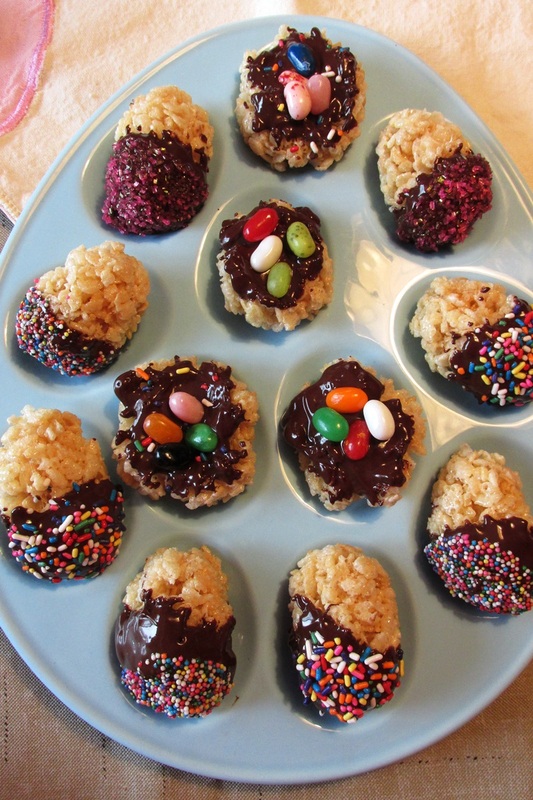 Top the nests with sprinkles, coconut, jelly beans, and/or gumballs. To make faces on the gumball chicks, use the food safe marker. 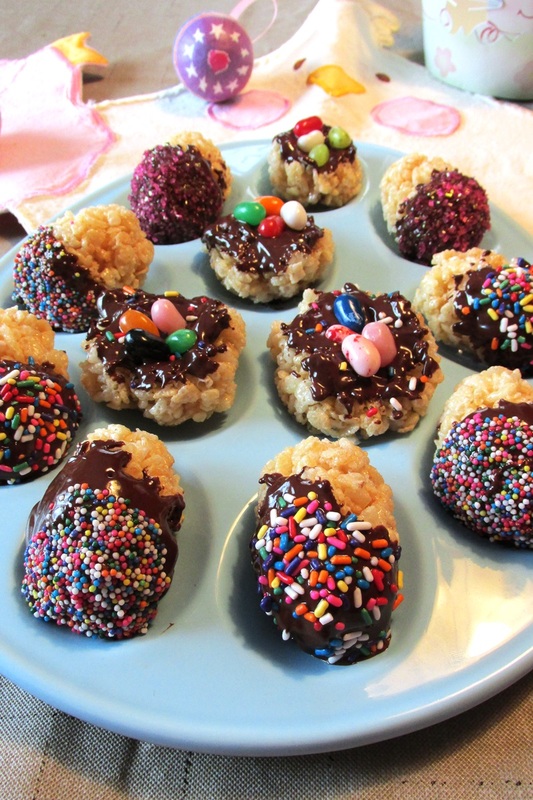 Chill all of the Easter rice crispy treats in the freezer for 20 minutes to set the chocolate. Hi Sarah, you can skip the coconut shreds on top, they aren’t required.